Back when Michael Tauiliili-Brown was in high school, he and fellow students pooled together their money, creating a $100 pot, with the highest test scorer getting the spoils. Away from his Advanced Placement classes, though, Brown was a star athlete and a popular kid. Brown says that he was living a “double life,” but his focus and vision punched him a ticket to Duke University, and later, the NFL, where he was a linebacker for the Indianapolis Colts. 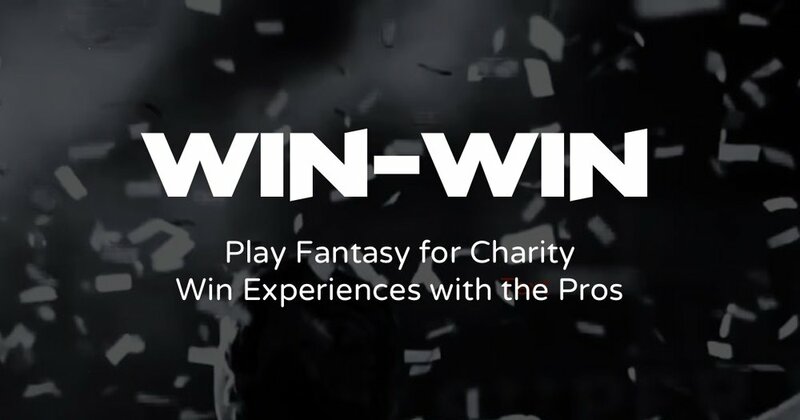 Now 30, Brown has transitioned to a surprising post-sports career in Silicon Valley and recently launched Win-Win, a fantasy sports platform that allows NFL players to support their favorite charities while delivering fan experiences. I recently spoke with Brown about his platform, which he boldly describes as “gamifying philanthropy.” How did Brown come up with Win-Win and what charitable impact does he expect from it? Well, as this writer knows, fantasy sports is huge. I’ve never messed with the stat-saturated daily grind that can be fantasy football, but each year, I participate in a modest fantasy basketball league with my undergrad pals. So-called one-day sites like FanDuel and DraftKings rake in millions of dollars in revenue despite being subjected to legal action. Win-Win hopes to tap that same rich market, sans the legal murkiness, and in service of social impact to boot. The concept of Win-Win is as follows: Participants choose from a variety of athlete-hosted sports games (fantasy football, over/under, etc), which typically require a small fee to enter. However, that entry fee is actually donated to a charity chosen by the host athlete (Win-Win retains a small percentage for operations). From there, participants compete to win priceless experiences and prizes from the athlete. A recent experience included flying on a private jet to the LSU and Alabama game on November 5. Meanwhile, host athlete and LSU grad Patrick Peterson encouraged his fans and followers to support his effort to raise money for the Baton Rouge Area Foundation (BRAF). Win-Win, Patrick, and his tournament winners presented a check for $42,500 to the BRAF to assist with relief after August’s catastrophic flood. What made Brown wade into the philanthropic arena in the first place? Well, the story in part goes back to the athlete's formative years growing up in inner-city Houston. He describes a pivotal moment when he and several friends were set on robbing a store. In the final moments, Brown had a change of heart and talked his other friends down, as well. Brown says that it was his first realization that he could be a powerful voice for change. When Brown would return to his neighborhood, he was struck by how little things had changed. In fact, in some ways, he says the situation had deteriorated. To that end, in 2010, Brown and two local friends created a 501(c)(3) called Gini Bu Nkpa Gi? (TeamGINI), which translates to “what is your purpose?" in the Nigerian language of Igbo. Much like Brown's friendly wagers in AP class, TeamGINI was Brown's way of redefining what was cool and popular. TeamGINI aims to "make purpose popular" by leveraging the arts and other platforms to guide youth in the Houston area. After a few years running the day to day at TeamGINI, Brown started looking for a way to broaden his charitable impact. He headed west from Houston to Silicon Valley where he attended a 9-week Draper University entrepreneurship program developed by Sandhill Road Venture Capitalist Tim Draper. Brown taught himself how to code multiple languages and then joined Kiip, a mobile advertising company. Brown also finally joined a fantasy league, and though initially skeptical, started asking "what if the money won during these friendly tournaments could be put towards social impact?" Out of that, Win-Win was born. The way Brown sees it, a lot of athletes do care about making a difference, but things like benefit dinners and golf outings are part of an old model and way of thinking about things. Brown emphasizes that a big benefit of Win-Win is that athletes themselves have full ownership of the kinds of charities they support, rather than being quartered by the ideas of their team owners, agents, and others. I've written before about how sports stars like Lebron James have taken their careers into their own hands in unprecedented ways, and how this new attitude might also have an impact as these athletes wade into the social change arena. Between athletes wearing "I Can't Breathe" shirts or taking a knee during the national anthem in protest, many in sports are speaking up and speaking out. Win-Win might be just the giving platform that offers the kind of autonomy many athletes are yearning for. For those who find traditional fantasy sports too complicated, there are several tiers, which Brown hopes will allow the platform to tap into that larger market of people who aren’t into fantasy. On the surface, it’s fantasy sports meets philanthropy, but the components of the marketplace are flexible, to an extent. What about expanding to the NBA? The MLB? What of retired players, like auctioning off Kobe Bryant's smelly mask? These are some of the scaling ideas that the young former NFL player has on his mind. Michael Brown expects to attract about 5 percent of the $28.5 billion fantasy sports market and 0.5 percent of annual charitable giving by individuals. Win-Win has started with tournaments hosted by a handful of athletes from various NFL teams and has plans to scale their user base and tournaments to represent all 32 NFL markets, and eventually into the NBA and other sports.